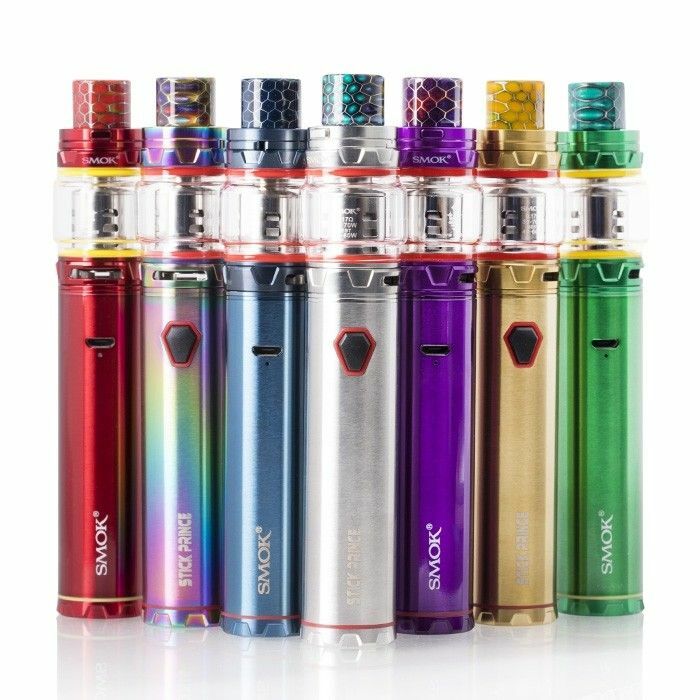 The TFV12 Prince Stick Kit from SMOKTech is a slim pen style vaporizer that combines the advanced TFV12 Prince Tank with a 3000mAh direct voltage output battery for easy on the go use. 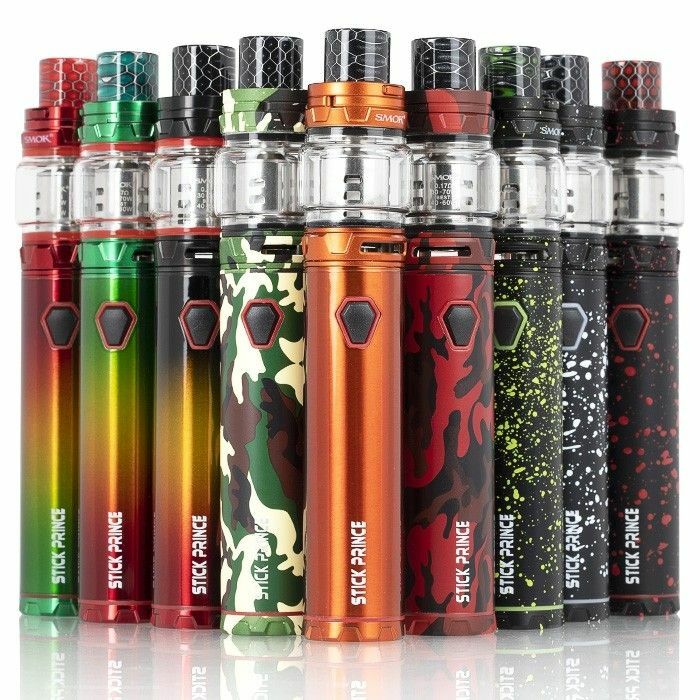 Forget about carrying around a massive mod everywhere you go, the Stick Prince Kit gets the job done right with in a smaller and more lightweight package. 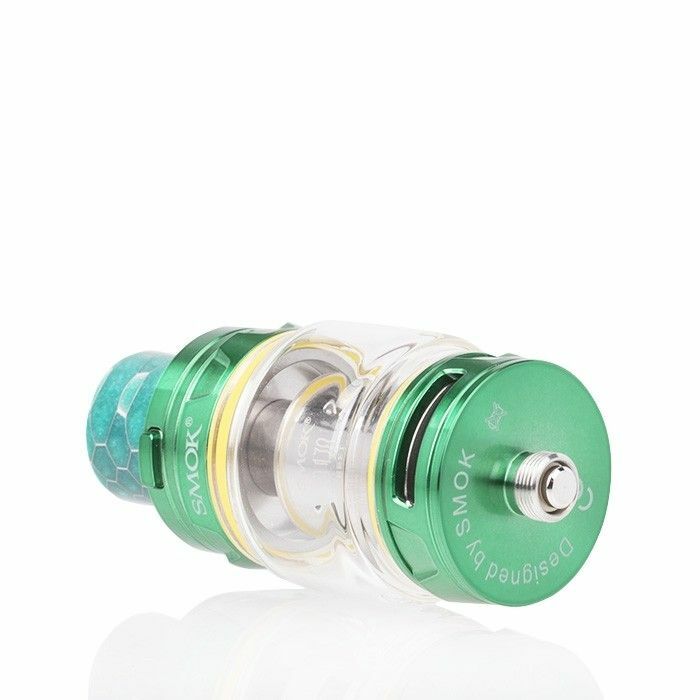 The included TFV12 Prince is an innovative tank system that offers two unique liquid capacities (5mL or 8mL) by using interchangeable glass tubes. 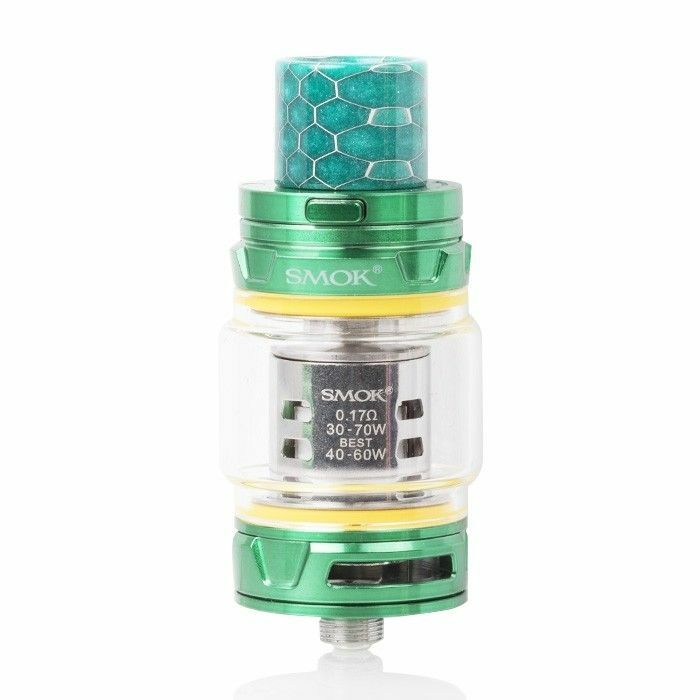 The tank itself is compatible with the entire V12 Prince Core series and SMOK includes two 0.17 Ohm Prince-M4 Cores ready for use right out of the box. Each TFV12 Prince also sports a rotary top lid for filling from the top with a securely locking button. 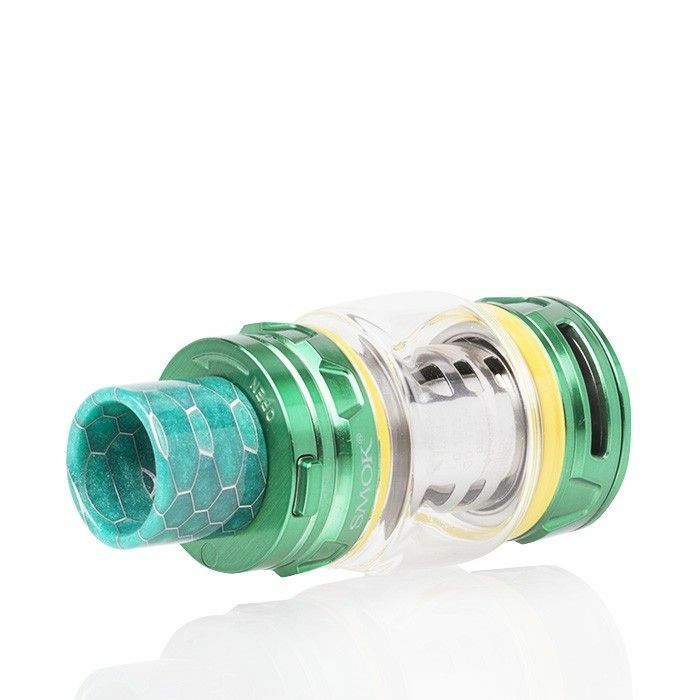 There is also an adjustable airflow control ring on the base of the tank with huge dual air channels that offer full control over the quality of your vapor. 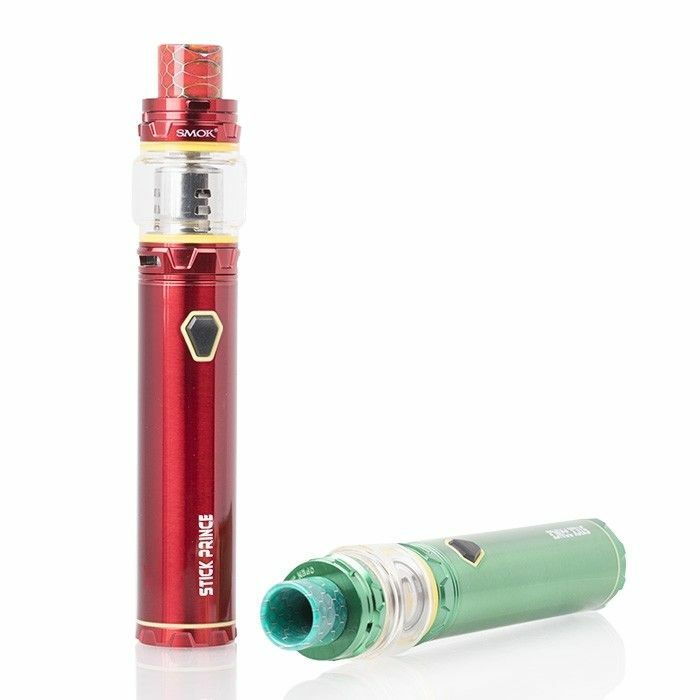 The Stick Prince Battery offers an extremely long lifespan between each charge thanks to it's massive 3000mAh capacity. This cutting-edge battery utilizes a direct voltage output system that will provide anywhere from 3.4-4.2V according to it's current state of charge, as the battery dies out the output level will follow. 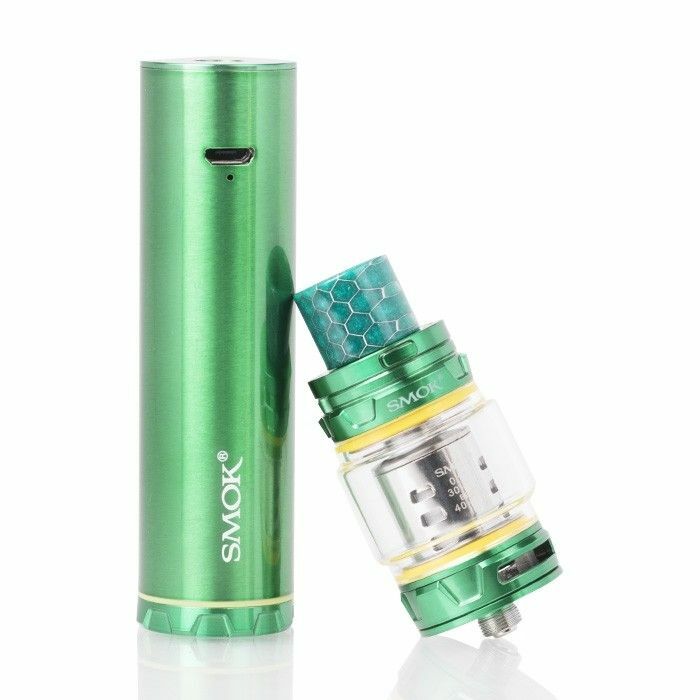 SMOK also includes an intelligent LED light indicator that keeps you up to date with the current battery life and they also incorporate a number of safety protections to guarantee safe use at all times including an 8 second auto cut off.